Where is the understanding as to understanding the achievements of Indian culture? The birth of Tibet was born as a Tattatube Baby, a warrior of Mahabharata's war, there were planes in India and nuclear weapons were called brahmastras. The biggest ridicule of all these gossipers is that those who talk about such things are not their own folly. Generally people get their own knowledge or understanding from others. These dignitaries have borrowed themselves from their stupidity and others. Beginning Dayanand Saraswati, such a Vedic society reformer and cleansing of the rotten caste in Hinduism has been done in a fundamental way. Every man has as much knowledge as he can, but he keeps on clinging to something. It is said that the Egyptian winner and the second Khalifa of Islam have burned Alexandria's rich and wonderful library by arguing that there is no need for other texts to be in the Qur'an and that there is no need to keep the Qur'an in writing. 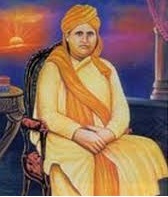 Swami Dayanand Saraswati, the staunch enemy of Islam, embraced this idea and deed with excessive insistence in the Vedragrahas including the whole world knowledge. His followers followed him back and forth. Whatever technology is in the world, whatever technology is there, it is all in the Vedas. If there is a railway or a microscopic glass, an airplane or an atomic explosion, then last-ritual surgery of medicine is all in the Vedas. 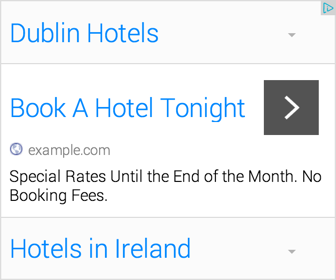 The foreigners steal our texts and they have developed it from them. Everything that happens, from implantation of human organs to artificial intelligence, is done, everything that is to be written is written in the Vedas. This superstition of Arya Samaj was nourished from abroad. Today the name of Theosophy has been forgotten and almost forgotten, but it was a hundred years ago. Gandhi and Nehru also influenced him. Madame Blavatissi started. Our famous poet Baharamji Mambari shook Blavatis' dust. Indian texts, Indian traditions and saints of India were omniscient and omniscient. Dashavatar is a former form of Darwinism's evolution, and the theosophists have vigorously talked about the ancient Indian scriptures containing all the world's science sciences. This disintegration of Dayanand Saraswati and Theosophists has also been adopted by the National Volunteer Association and countless leaders of BJP combine to solve the myths and myths of the legends. He has never understood India's limitations as the lack of understanding of Indian civilization, and India's incredible achievements in praising popular goggles on Indian social system or Indian state-of-the-art do not come to their mind. There is a 29/30 feet iron pillar named Chandra Kalam in the precincts of Qutbaminar in Delhi. About a thousand years old this pillar weighs about six tons. To grind the iron, it has to be heated to 200 degrees and this flaming liquid can not even stand with iron. At that time, the answer to the question of how the iron juice of six tons of iron was removed in the mold. They do not have a crane, there are six tonnes of weight lifting equipment. There is no indication of this supreme achievement and this iron is so pure that it does not get corrosion. We are special about linguistics. The grammar base of the Sanskrit language is considered as an octogenarian of Panini. After reaching Europe in the form of disintegration, all the grammarians realized that the grammar of their own language is not rational and science is not available, and European linguists have laid out a new science called linguistics to meet this shortcoming. Man is sick, he is sick of his own folly. That is why the cause of all diseases is called 'pragydosh'. Obeying the dietary rules, arranging life system according to seasonality, it never gets sick. Today, we are known as Life Style's figurine. If you do not mention Ellora, then the list of India's superpower remains incomplete. The temples or buildings are built above the foundation. 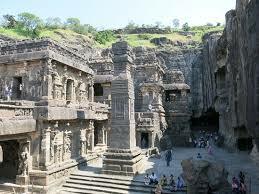 Ellora is built below the bottom because this whole temple has been carved from a tremendous rock. The engineering calculations required for such carving should be in those days. Today is forgotten, but India's limitations and idiots are not crossed. Our neighboring country started making paper from rags. Muslims from China used to make paperwork through China in Central Asia and Muslims started writing paper industry in India. Alcohol and cannons also brought Muslims to India. Even today, Europe and America have such wonderful innovation and resources. Why does not this happen in our country? 0 Response to "Achievements of Indian Culture"